Your inner history buff will appreciate Jesuits' College of Funchal and Monte Palace Tropical Garden. Eschew the tourist crowds and head to Quinta do Riacho and Valley of the Nuns. 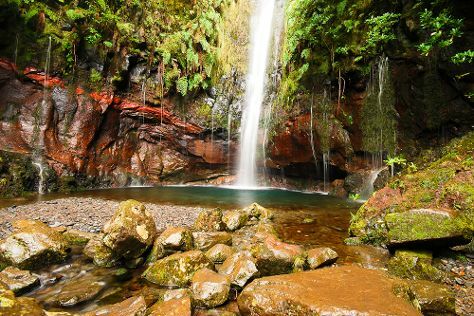 You'll find plenty of places to visit near Canico: Dolphin & Whale Watching (in Calheta), Ponta do Pargo Lighthouse (in Ponta do Pargo), Levada Caldeirao Verde (in Santana), Galeria dos Prazeres (in Prazeres), Pico do Arieiro (in Funchal), Igreja de Sao Bento (in Ribeira Brava) and Museu Carlos Machado (in Ponta Delgada). To see more things to do, where to stay, photos, and more tourist information, refer to the Canico trip itinerary builder. Riga, Latvia to Canico is an approximately 11-hour combination of car and flight. You'll gain 2 hours traveling from Riga to Canico due to the time zone difference. Prepare for much hotter weather when traveling from Riga in March: high temperatures in Canico hover around 22°C and lows are around 16°C. On the 3rd (Mon), you're off tohome.